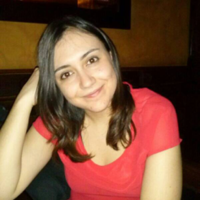 Estefania Serrano is a PhD Candidate at University Carlos III of Madrid. She graduated in Computer Science and Engineering in 2014 and possess a Master in Computer Science and Technology from the same university. Her areas of interest include but are not limited to: computer architectures, heterogeneous computing, distributed systems and parallel programming. She is also interested in the field of bioinformatics with special emphasis in medical image reconstruction algorithms.